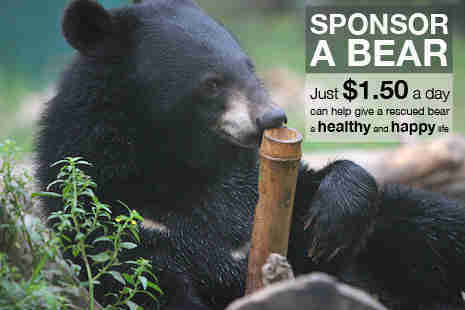 Moon bears love nothing more than wrestling playfully on the grass at Animal's Asia rescue center in north Vietnam. And seeing these majestic animals "lock paws" is truly a sight to behold. Their awe-inspiring strength is in no doubt, so to see two bear friends gently tussle is a real privilege. But look closer at this pair grappling and you'll notice something unusual. One of them only has one front leg. That's right, Helios may be at a huge disadvantage when mixing it up with a little horseplay, but neither he, nor his sparring partner Fynn let that get in the way of a little fun. Animal's Asia, the animal welfare charity that fights to save moon bears from the cruel bear bile industry, currently cares for a total of 128 bears at its Vietnam Bear Rescue Center. 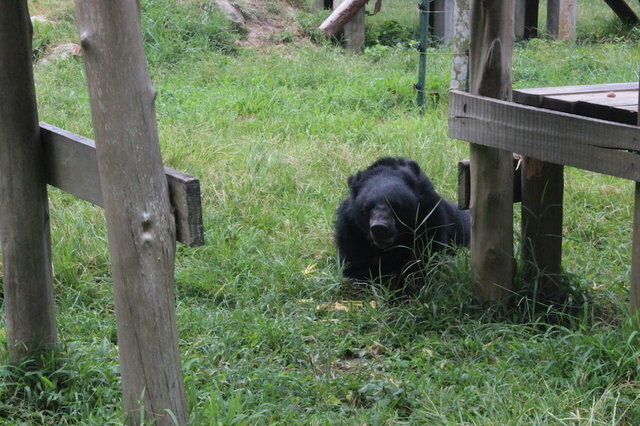 Many of the bears rescued from lives of misery are missing paws and limbs. Their scars are cruel reminders of how they were snatched from the wild to be sold into suffering. But at the sanctuary, at in Tam Dao national park, these disabilities are overcome - just as each individual overcame the horror of bear bile farming. We hope you all have a great #MoonBearMonday and a fantastic week.